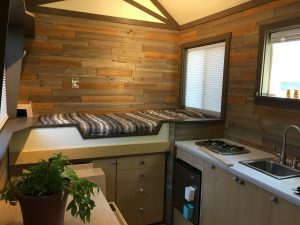 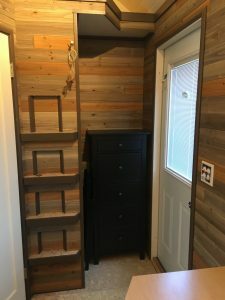 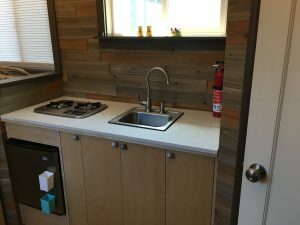 Here are pictures of our completed Tiny House. 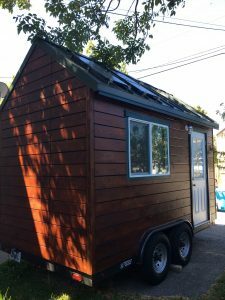 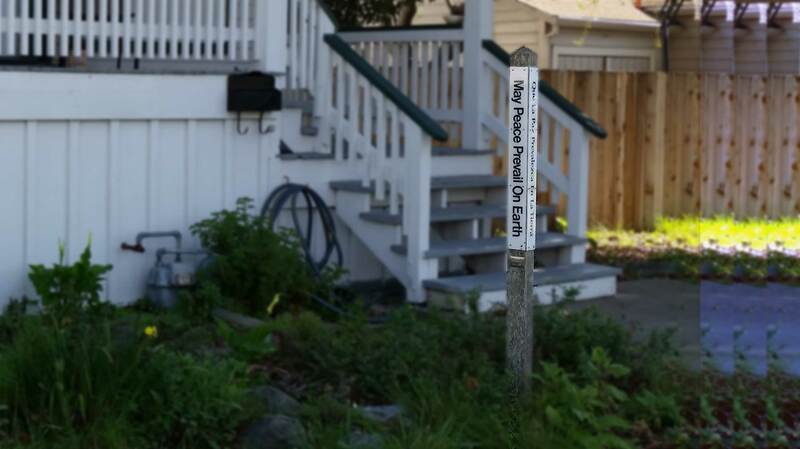 It has solar power, hot water, and a self-composting toilet. 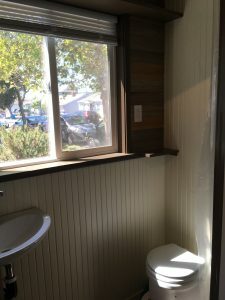 Please contact us if you would like to see it in person. 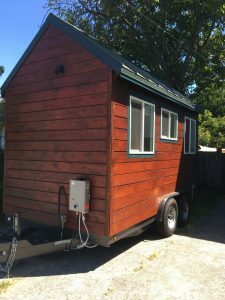 If you are interested in hosting a Tiny House or in assisting us in advocating for the creation of affordable housing options for the very low income in our communities, please contact us.